In lead mining and recycling, two employee safety measures are critical: blood-lead levels and incident rates. In 2017, Doe Run improved in both areas, reaching significant safety milestones at several facilities. Blood-lead levels measure the trace amount of lead the body absorbs. 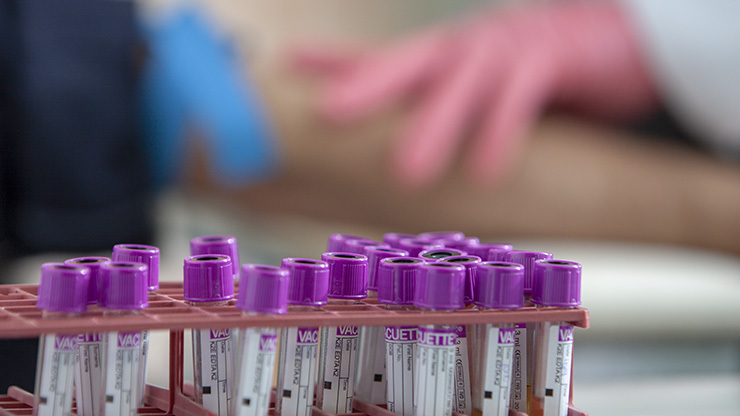 The Occupational Safety and Health Administration requires monitoring of blood-lead levels and removal of employees with levels greater than 50 ug/dL (lead per deciliter of whole blood). Doe Run, as a member of the International Lead Association, has set a more stringent removal level of 30 ug/dL, and uses 19 ug/dL as a tracking milestone. In 2017, our Metals Division saw more than an 80 percent decline in employees who had blood-lead levels over 19 ug/dL compared to 2016. Last year, only 26 employees had blood-lead levels over 19 μg/dL, compared to 134 in the previous year. Employees may be exposed to lead through inhalation or ingestion. Recent equipment upgrades at Resource Recycling were designed to further reduce employee exposure. Our new Breaking, Separation and Neutralization (BSN) process limits the potential migration of lead-bearing materials from batteries into the work area. Relocation of the drum shredder to a more isolated area also reduces potential lead exposure for employees. We already have pressurized air systems to keep lead particles out of our control rooms, and in 2017 we began adding an additional buffer space, called a foyer, between the control room and the rest of the plant. Wearing personal protective equipment, such as a full-face respirator, glasses and gloves. Wearing a uniform that is laundered after use. Washing hands and changing uniforms before eating. Showering before heading home for the day. Workplace incidents also declined at Doe Run in 2017. “We’ve always had a robust safety training program, but we saw a slight rise in our accident rate a few years ago. We took a hard look at how we could improve these programs, and we’re proud of the success those improvements made,” said Mark Yingling, vice president – environment, health and safety. 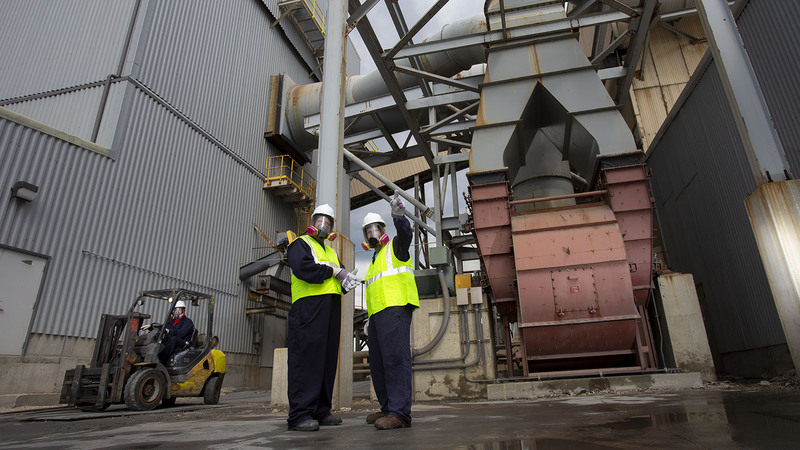 Safety teams at each division implemented more proactive workplace checks and observations to find and fix potential hazards before an accident happens. These critical examinations solved small problems before they became big issues. Whenever an employee identifies a potential hazard, we create a list of corrective actions for evaluation and record the date of when a corrective action was completed to ensure that hazards are fully addressed. This detailed approach was part of how we decreased our incident rate by 53 percent in 2017. Every employee shares responsibility to keep our workplace safe. Employees participate in ongoing health and safety training, part of the more than 16,000 hours of training they received in 2017. Read more about how we keep employees safe underground here. Buick Mine and Mill earned the highest national honor for mine safety – the Sentinels of Safety Award. This marked the 28th time Doe Run and its predecessor companies earned this distinction. Our manufacturing subsidiary Fabricated Products, Inc., received another “Perfect Record Award” from the National Safety Council, which it has earned each year since 2000. Read more about our safety achievements here.